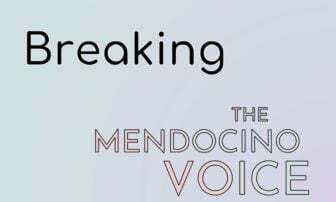 MENDOCINO Co., 10/25/17 -- At on the of the many press conferences and community meetings held during the Redwood Fire (also called the Mendocino Lake Complex) Sheriff Tom Allman noted that in the chaos and confusion of the fire someone had fired a gun at firefighters. Now the Mendocino County Sheriff's Office (MCSO) has issued a press release describing the incident. 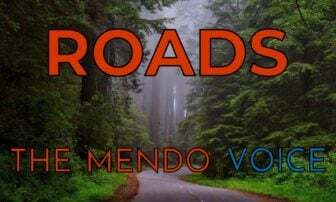 The Redwood Fire began late on the night of Oct. 8, and quickly early in the morning of Oct. 9,* sweeping through Redwood Valley. 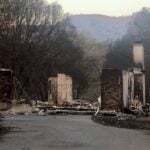 The main operations against the fire lasted about a week, and crews were fighting hard through the night for several days after the fire began. 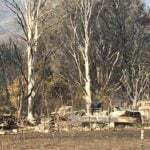 According to the press release, sometime around midnight, on the night of Oct. 13 or early morning of Oct. 14, a CalFire crew was working on the property of John Heron, 73, in the 10000 Block of West. Rd., when they heard shouts and gun shots. Allegedly Heron was firing at them, or firing warning shots, believing them to be intruders taking advantage of the fire. The firefighters got out of there quickly, and contacted the MCSO. Around the same time Heron himself call 911 to report intruders, saying that he had fired his gun. Deputies responded and when they confronted Heron, he allegedly resisted arrest. He was booked that day on charges of resisting, and "discharge of a firearm in a grossly negligent manner," on $15,000 bail, and released that afternoon. On 10-14-2017 at approximately 12:02 AM Mendocino County Sheriff’s Deputies along with several other law enforcement officers from other county and municipal jurisdictions responded to a shooting directed at a Cal Fire crew that were engaged in fire suppression/prevention efforts in the 10000 block of West Road in Redwood Valley, California. There were multiple law enforcement officers from several agencies providing mutual aid patrolling in Redwood Valley area due to the Mendocino Lake Complex Fire. Deputies conducted an investigation and learned the Cal Fire crew and their fire engine were parked on John Maxwell Heron’s property. The Cal Fire crew heard a male shouting at them from the residence on the property and then heard gun shots coming from the area where the male was shouting. The Cal Fire crew quickly departed and contacted law enforcement. While Deputies were investigating the incident Heron contacted 911 to report intruders on his property and that he had discharged his firearm. Heron was subsequently contacted in front of his residence and he resisted arrest when law enforcement officers attempted to arrest him due to his negligent discharge of his firearm. 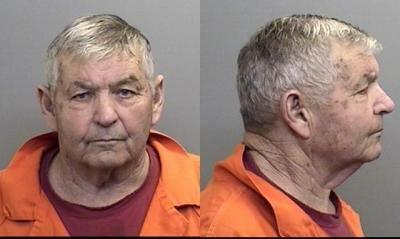 Heron was booked into the Mendocino County Jail on the listed charges and was to be held in lieu of $15,000.00 bail. *Correction: An earlier version of this story erroneously stated that the fire began on the night of Oct. 9. It began and spread late on the night Oct. 8 and the early morning of Oct. 9.